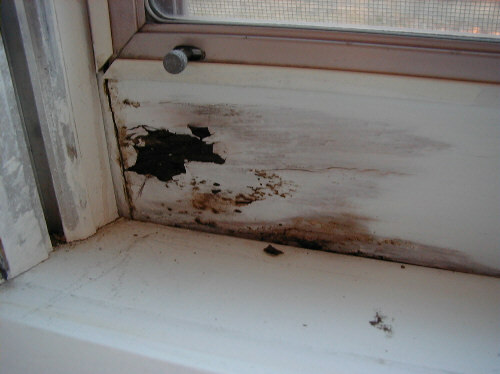 View of wood damage and mold growth along the bottom frame & sill of a window. With some sanitizing and then re-finishing of the wood, this window can be repaired. View of a lower window frame that has experienced significant deterioration. There were fungus nodules growing on the back side, with mold visible on the inside. This window had to be replaced.